Is it really June already?! I can’t believe that we’re almost half way through the year and that Father’s Day is quickly approaching! I don’t know about you, but I always have a particularly hard time trying to find the perfect gift for my Dad. But guess what else… This year, Father’s Day is ON my Dad’s birthday. That’s right. This happens every couple of years so I feel like I really have to bring it so he feels extra loved. The thing that makes it difficult for me is that my Dad really doesn’t have any big hobbies except for working out. I know that this sounds strange, but he is an extremely hard worker and is truly passionate about his job. So what do you give a Dad that wants nothing and has everything he needs? !… You make him something! That’s right. There are only so many ties, workout gear, and store bought picture frames with our picture in it that I can get the man, so this year I recommend that we all rolling up our sleeves and make something special for our dear old Dads. Here’s what I did. I went to a local pottery painting business here in Houston called The Mad Potter. Don’t worry if you’re not in the area. 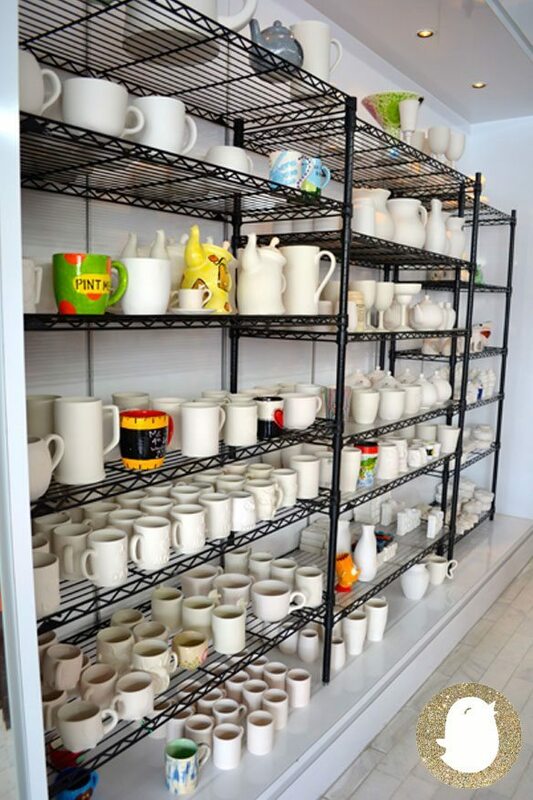 There are several businesses like this all over the U.S. where you can pick a piece of pottery and paint it just the way you’d like. It’s a personal and unique way to make a special gift for someone you care about or paint something fun just for you. 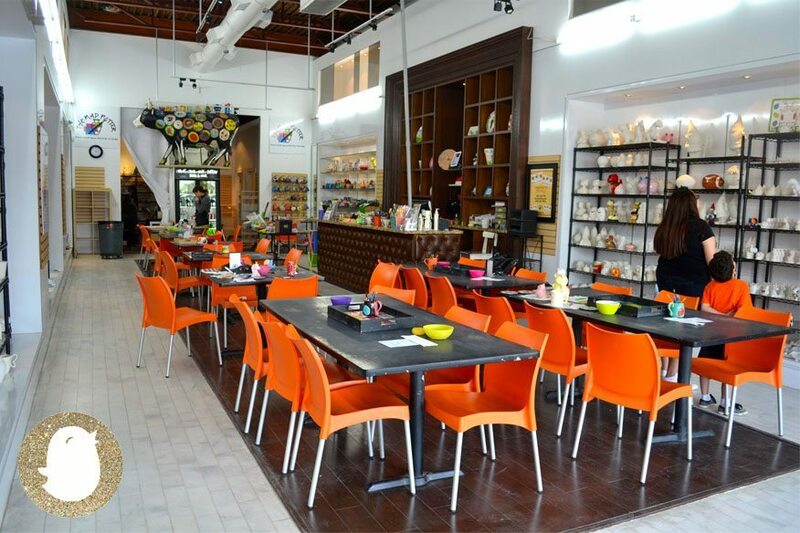 In Houston, The Mad Potter is the place that I recommend for an easy + perfect DIY gift for Father’s Day. Why is that, you ask? What makes this activity better than making your own DIY gift at home? I don’t know about you, but I’m not the craftiest of people. If I were to try and make something on my own, it probably would go straight to the back of the closet. In the future I will probably try some crafting, but for now I’m sticking to something safe that I know he will like. 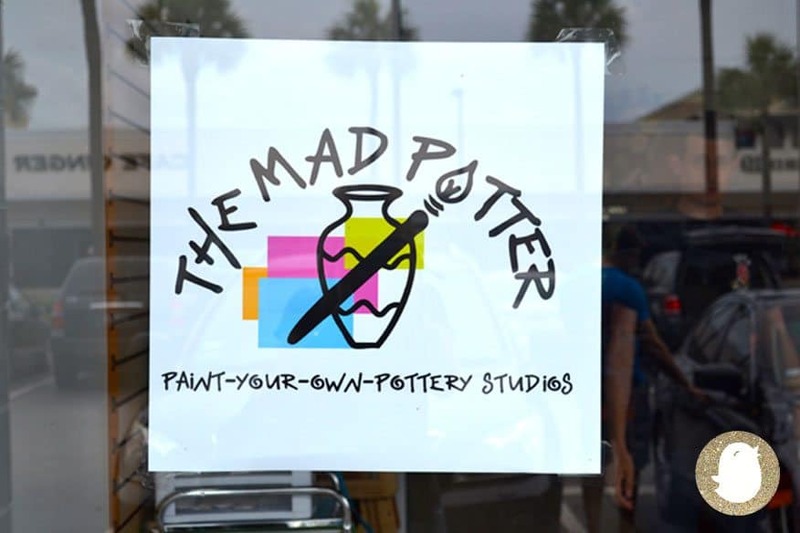 What I like about The Mad Potter is how this is a fool-proof project since the pottery is already made and you just get to have fun and be an artist for a day. If I were to make the pottery, I’m pretty sure that my Dad would never use it. But if you’re talented like that and are able to make the pottery or craft yourself, than more power to you!! Another thing that I love about this is that mothers can bring their kiddos and make this a fun + creative activity for the day. 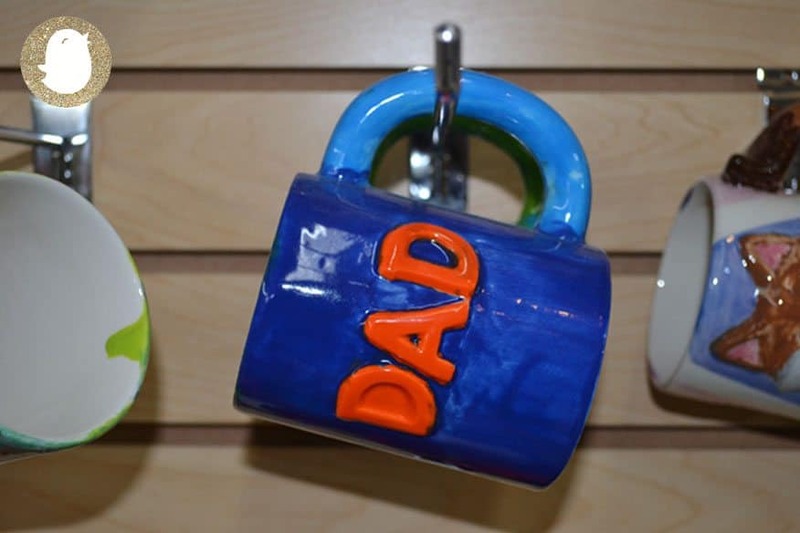 This way your kids can make something extra special for Dad, too! Needing a play date? Get together with some other mommies and their littles and create your masterpieces together. Not only do you all have a fun day out with friends, but you make a one-of-a-kind gift for Dad AND there is no clean up afterwards! That’s what I call a win-win! But now, what should you paint? That’s always the hardest part for me. Trying to decide what pottery piece to choose and what you want it to look like is tough. When I was trying to decide, I knew that I wanted to make something that my Dad would actually use. After a little time, I decided to make a small platter/plate for my Dad. There are some examples that I found at The Mad Potter above! I love how some of the kids put their footprint, handprint, or thumbprint on the design. So sweet and sentimental. My absolute favorites were the plates that had all of the kids handprints and their names on it. I thought it was a great way to remember just how little they are. After picking my pottery piece, choosing which colors I would use, and getting the paint brushes, I could begin! My recommendation to have the best design, I always start with the base paint (remember to do more than one coat) and then use a pencil to get a good layout of what I want my design to look like or say. The pencil doesn’t show once they fire the piece in the oven so don’t worry about it coming through. Then you can start painting your design! My Dad’s favorite colors are greens and blues so I stayed with those colors. And viola! My Father’s Day/Birthday Present for my Dad is ready. I have to wait a few days before I can pick it up and send to my Dad, but the work I have to do is all done. Of course, include a heartfelt card and you have the perfect DIY gift for Dad! I hope you enjoyed this post! Share with me other ideas you have done/made or are going to do for this Father’s Day.